Have you ever been swindled? If so, you’re not alone. Nearly everyone I know has been the victim of a financial scam – even me. Earlier this year, someone pulled $3,000 out of my checking account without a debit card or an account number. They did it with a cellphone app and my husband’s username and passcode. Thank goodness my bank and my account are insured. My loss was refunded in a few days. But not all victims are as lucky as I was. 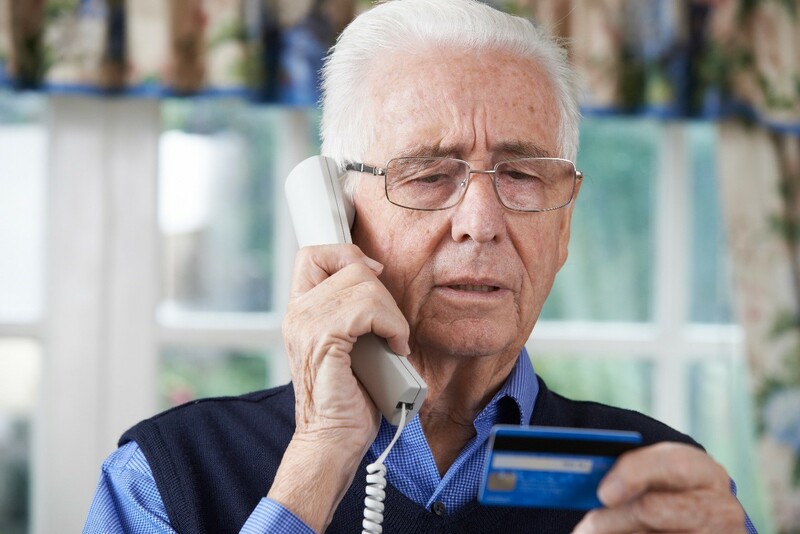 A survey of Wealthy Retirement readers found that nearly three-quarters of respondents have lost money to a financial scammer. 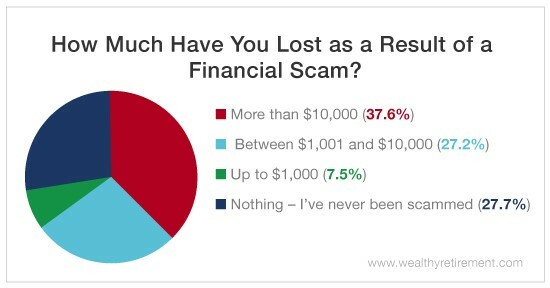 And 37.6% have lost more than $10,000. Scam artists are equal opportunity hucksters. These criminals target people of all ages, races and persuasions. They do it because they’re good at it and because it’s an easy way to make a quick buck. But many crooks have a preferred target: retirees. Retirees, more often than not, have more assets. Thieves know that defrauding them is very, very lucrative. Last year, seniors were swindled out of $36.5 billion. Much of the time, seniors don’t report their losses. They shouldn’t, and luckily, nearly 72% of our readers surveyed don’t. While only 20.5% of victims reported the crime to the police, 51.4% made sure to warn family and friends. Warning others is one of the best ways you can help stop these illegal schemes. Knowledge goes a long way toward protecting yourself and others from financial fraud. If you’re familiar with a fraud, you’re less likely to fall for it. Recently, Chief Income Strategist Marc Lichtenfeld offered readers even more tips to protect their wealth from thieves. Never give your credit or debit card number, or bank or personal information to anyone unless you initiate the call. Never click on a link in an email from a bank, especially if the email claims that you need to do so urgently. Don’t answer calls unless you recognize the number, even if it says the name of your bank. If it’s urgent, they’ll leave a message. No one is giving you lots of money to help them move money out of a country. You did not win the lottery or a sweepstakes, and even if you did, there are never any fees associated with claiming your winnings. Keep in mind that stupid people aren’t the only ones who become victims of fraud. Stupid people, more often than not, don’t have any money lying around. That’s why these scams are so tricky and work so well. The stories seem real. You’ve worked hard to fund your dream retirement. Remember that protecting your wealth is just as important as building it. P.S. 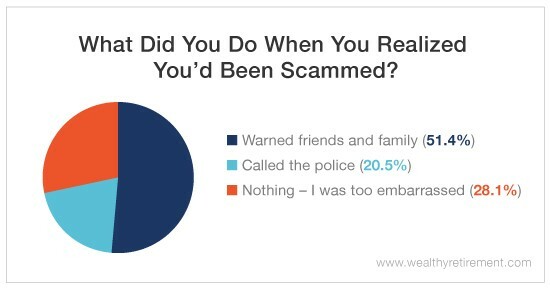 If you’ve been scammed, let us know what happened in the comments! The more we all share our experiences, the more likely we’ll be able to help protect each other from future scams. Is There a Retirement Savings Shortcut?